Bread & Jam Hostel is your home away from home. 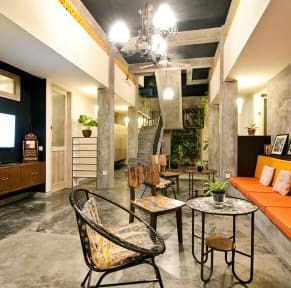 Walking distance to central Kuta and beach in a quite neighborhood, steps away from local and cheap food. 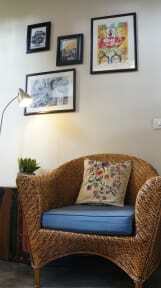 Bread & Jam Hostel combines experience, style and comfort with affordable prices. We want to make you feel like at home and give you a good sleep after a busy day exploring the island. An eco-conscious boutique hostel, carefully designed for the comfort of our guests with a touch of modern and traditional design. We encourage guests to reduce energy consumption and reuse and recycle whenever possible. In our cozy common room you can relax and enjoy the free WiFi, watch cable TV and range of DVDs, play board games, or just to hang out with your friends and other guests. Shared pantry and kitchen are available for guests to cook. Free simple breakfast everyday. Tea, coffee and kombucha are FREE all day! !